I heart Pea. I really do. I read the first Pea book (Pea’s book of Best Friends) a year or so ago, and I loved it. It’s a cracking read, and so is this one. Pea is nearly twelve, and due to the bizarre way these things happen, everyone in her family has a birthday in the same month. First it’s Clover, all fourteen and Mature and Sophisticated (she has a sleepover and she and her friends paint their nails and talk about boys), then it’s Tinkerbell, turning eight and obsessive about doing magic (I loved the sections where she tried out Potter-esque spells using two felt-tips sellotaped together at the ends). 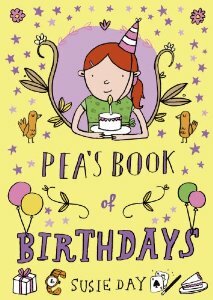 Then Pea and her Mum share a birthday, and Pea simply can’t work out what she wants this year. Should she be Mature and Sophisticated like Clover? But she can’t get to grips with the idea of not being able to invite her best boy friend, Sam One, to a sleepover (her girl friends are horrified by this idea, and tell her it’s Simply Not Done) – nor is she the slightest bit interested in the latest boyband, 1-Click Dream (a thinly veiled reference to 1-Direction if ever I saw one that made me laugh every time I read it). What Pea would love more than anything is a birthday visit (and present) from the father who abandoned her as a baby, Ewan MacGregor (not THAT one, another one) who may or may not be a pirate or a spy or a businessman. 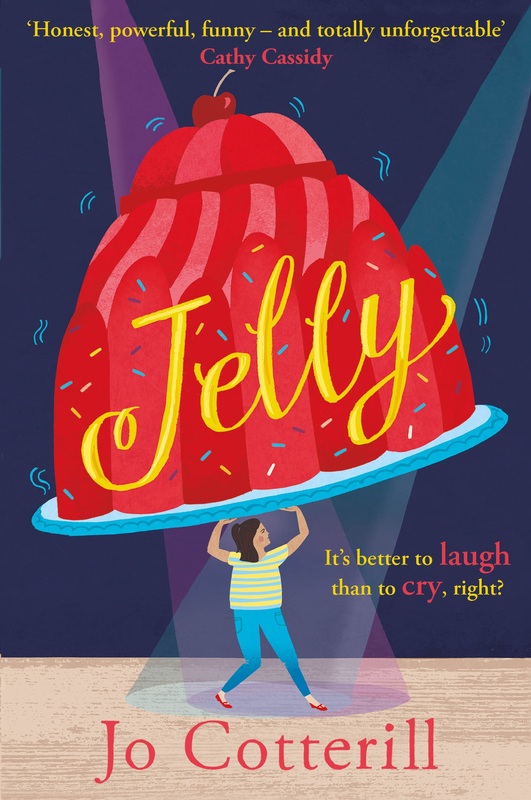 Susie is a good friend of mine which makes it even easier for me to say this is a BRILLIANT book in a fantastic series, and all girls aged 8 and up should get their hands on it. I read another book aimed at the same age group recently which had a great ‘voice’ but hardly any plot, and I felt disappointed by the end. But Pea just ticks ALL the boxes, and I am totally loving her style and vocabulary. And I also love the way that the people in it CARE about each other. The sisters humour each other and always pull together. The mother (who is a writer) is a lovely eccentric character, and the neighbours, Drs Paget and Skidelsky (both female) and their twin children, Sam One and Sam Two, are just a delight – normal but with that dash of extra oomph that you only get in really good characters. Even the au pair, Noelle (christened ‘Le Drip’ by the sisters because she’s always crying with ‘the homesick’) has hidden depths. I really do recommend the Pea series to everyone with daughters of 8-12 and I will be making Susie a big cake next time I see her to say congratulations.